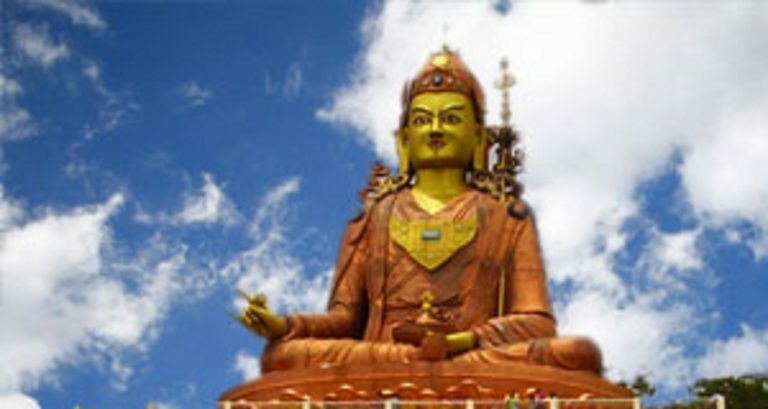 A new Buddhist pilgrimage site at Pelling in West Sikkim is all set to attract tourists from November 1, as it will play host to the world’s tallest 137-feet Chenrezig statue. Sikkim Government has been planning to promote the State as a Buddhist pilgrimage tourism circuit. Accordingly with the government’s plan, a destination park with the 41.758 m tall statue of Chenrezig and a new complex with a skywalk, café and a gallery have been built at Sangha Choeling in Pelling at a cost of Rs 46.65 crore. The project was started in 2009, funded and constructed under the supervision of the Department of Culture and the Department of Buildings and Housing. The project has been quite challenging for the engineers because of the State’s hilly terrain. The Chief Minister of Sikkim promoted the idea of making the state a Shingkham or a Buddhist paradise, by building the statues of Lord Buddha, Guru Padmasambhava and Chenrezig as there is a belief that a Buddhist altar remains incomplete without these statues. The massive project was consecrated by Dalai Lamam in March this year. Also, Sikkim has two additional Buddhist pilgrimage circuits in south Sikkim. One site is Namchi that has a 135-feet statue of Guru Padmasambhawa and the other is Ravangla whose main attraction is the130-feet statue of Lord Buddha.